“The Runyonesque Pearl Street Market, Full of Colorful Characters and an Army of Rats.” This was, by far, my favorite post of the year — to read about, to research, and to write. 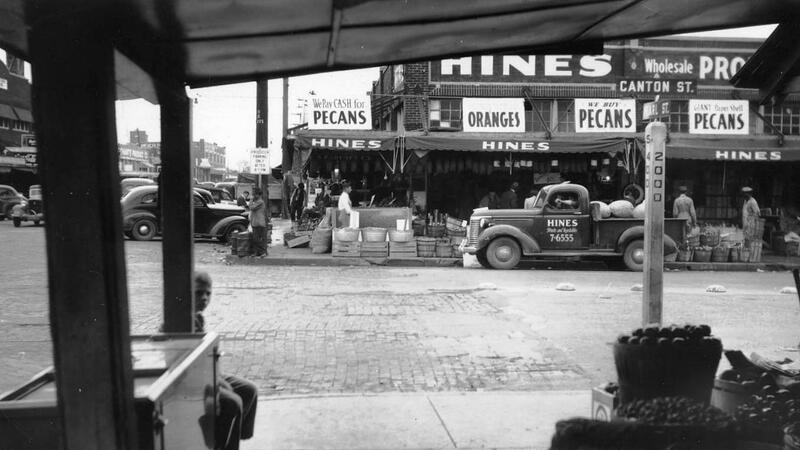 Before we had a Farmers Market, we had the wonderfully seedy Pearl Street Market. If the length of this post frightens you, might I direct you to the shorter, weirder collection of police blotter reports about the area I compiled, here. How can you resist a headline like “$1,500 Dope Cache Found Under Pile of Pineapples”? “When Halloween in Dallas Was Mostly ‘Trick’ and Very Little ‘Treat. '” Back when everyone became a juvenile delinquent on Halloween. “The Ladies’ Reading Circle: An Influential Women’s Club Organized by Black Teachers in 1892.” This was an incredible group of women who have been sadly overlooked. “The Old Union Depot in East Dallas: 1897-1935.” I know nothing about trains, but I found all of this fascinating. The most-researched subject I wrote about all year. “That Time When Dallas Changed the Number of Every Single Street in Town — 1911.” I loved writing this. And the only reason I did was because I couldn’t find out why the city had changed street addresses all at once — so I researched it, just to find out for myself. Now I know. “Gusher at Old Red! — 1890.” How had I never heard about this incredibly important discovery of water from an artesian well sunk on the grounds of the Old Red Courthouse? “Mr. Blandings Builds His Dream House … In Preston Hollow — 1948.” If you love the Cary Grant-Myrna Loy movie, you’ll enjoy this. My favorite thing here is the recording of a promo that actor Melvyn Douglas did for a Dallas radio station when he was in town. It’s at the end of the post. It’s great. “Jordan Moore.” I really loved trying to piece together the life of a man who left behind only a handful of photographs. “Oriental Oil Company: Fill ‘er Up Right There at the Curb.” Who would have guessed that reading about early gas pumps could be so interesting? Like many of the things I’ve written about, this post was sparked by something I stumbled across completely by accident. “Jerry Scoggins, From WFAA Staff Musician to Pop Culture Icon.” I love this. You may think you don’t know who Jerry Scoggins is. You would be wrong. “Mme. Koneman, High-Class Milliner.” From giant-plumed hats to a scandalous shooting! “US Revenue Cutter ‘Carrie Nation’ Successfully Navigates the Trinity In Valiant Effort to Keep Dallas Dry! — 1931.” An extremely clever April Fool’s Day prank pulled by The Dallas Morning News, suggested by the notorious Bonehead Club of Dallas. There are so many great elements to the story, including a pretty funny photo manipulation. “Jim Conner, Not-So-Mild-Mannered RFD Mail Carrier.” What started out as an interesting look at early mail delivery in Dallas took a very unexpected twist when I decided to find out more about Jim Conner, one of the very first rural postal carriers in Dallas. “Ted Hinton’s Motor Lodge — From Bonnie & Clyde to Motel Heliport.” What does a man who ambushed and killed Bonnie & Clyde do once he’s retired from law enforcement? He opens a motor lodge, of course! “Babe Didrikson — Oak Cliff Typist.” I knew nothing about Babe before I wrote this. Now I feel I know EVERYTHING! I still can’t believe how much I enjoyed writing about the woman considered by many to be the greatest all-around athlete of all time. Runner-Up #1: “How Lincoln’s Assassination Was Reported in Dallas — 1865.” Not Dallas, per se, but … wow. This was shocking. Runner-Up #2: “Not Every ‘Good Luck Trailer Park’ Story Has a Happy Ending — 1964.” Included just because it’s something you don’t come across every day: a newspaper account of a nightclub entertainer, his wife, and their monkey, found dead in a West Dallas trailer park. Yep. For all the “Year-End Best of 2014” lists, click here. Congrats on a great year and great work – Happy and Prosperous New Year to you! Thanks, Scout! I’ve followed you on Facebook for quite a while and love the things you post! I am no longer able to locate this information, as it keeps telling me it can’t be found. Is this gone completely, and not stored away any place else? It would surely have come in handy, as it applies directly to a response I am composing right now to an issue involving the 73 homes which were constructed as part of this promotion. If it’s gone, then it’s gone, but I figured it wouldn’t hurt to ask!